Alzheimer's is the most common form of dementia and thereby the fifth leading factor of death worldwide. Over 5 million Americans suffer from this degenerative disease. The exact cause and therefore cure has befuddled scientists and researchers for decades. Scientists have known that abnormal clumps, amyloid plaques, and tangled bundles of fibers, tau, are involved. 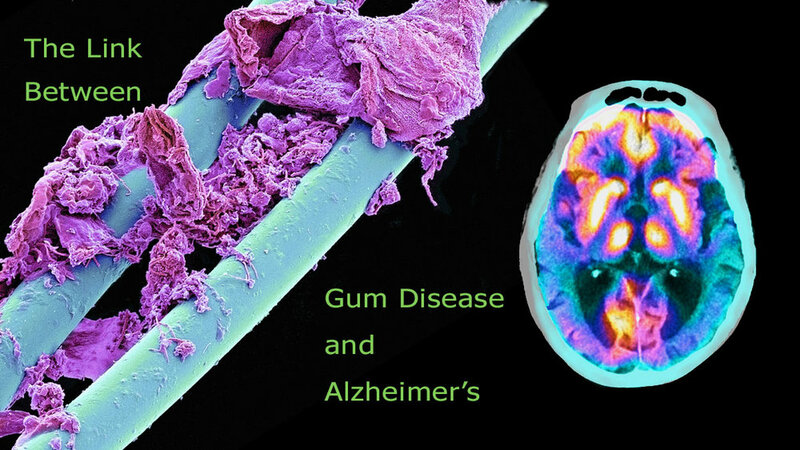 Up until now, these features were the focus of the battle against Alzheimer's, but a recent study shows another possible cause: gum disease. This study indicates that amyloid plaques and tau bundles might be existent as a reaction to a specific gum disease bacteria, Porphyromonas gingivalis, traveling to the brain. Overdevelopment of amyloid and tau proteins leads to the blocking of neuron function and the degeneration of brain cells. The hippocampus is where this process usually begins. Neurons will die as they lose function, and the more this happens, the more the brain is affected. The areas that handle memory are affected first, and eventually the disease will spread to cells that control body function. In the mouth, Porphyromonas gingivalis, known as Pg, leads to chronic periodontitis, causing chronic inflammation and potential tooth loss. If left untreated, this bacteria can spread into the brain. Pg was found in 51 of 53 Alzheimer patients studied. This connection offers hope for preventing and halting the disease. Tests to begin formulating a drug that will prevent or help those at risk have already started. In mice, scientists were successful in reducing the number of Pg bacteria in infected brain cells, thereby stopping the production of the toxic proteins amyloid and tau. There is finally hope, as most people have been touched by this disease, either themselves or by someone they care for.